THE SCULPTOR Is Back on the New York Times Bestsellers List! 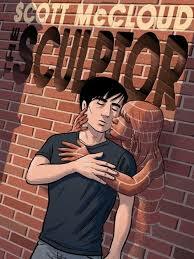 For the past two weeks, Scott McCloud’s THE SCULPTOR has been on the New York Times‘ Graphic Novels Bestsellers list: Number 2 on 5 July and Number 4 on 12 July. Previous Post Three Eisners for First Second titles in San Diego! Next Post PRIMATES Is Coming to France!